ACROSS: Mister Beddig, you have been a member of the Kintyre management team since the beginning of the year and have many years of experience as an asset and property manager in the real estate industry. What brought you to Kintyre and what challenges do you see in your new role? GUIDO BEDDIG: Kintyre’s reputation and focus on innovation, combined with its proactive approach to real estate investment and asset management, provide huge potential for growth and this was a very exciting opportunity for me. My challenge is to drive the business’ growth strategy forward while maintaining the highest possible professional standards for our clients. We have a very experienced team that is fully immersed in this dynamic market, and I am confident that, by delivering the right opportunities and the right solutions for our clients, we can achieve our ambitious plans for growth in Germany and across Europe. ACROSS: In recent years, Kintyre has established itself as a full-service real estate manager and is strongly anchored in the retail real estate sector. With the redesign of the “Märkische Zentrum” in Berlin, you have one of the most exciting projects in Germany on your agenda. What is the current status of the project? BEDDIG: The building permit for the ongoing construction work has been issued by the Berlin-Reinickendorf district office. Following the assignment of new spaces to several existing tenants, demolition work and construction measures have been progressing since the end of 2018. 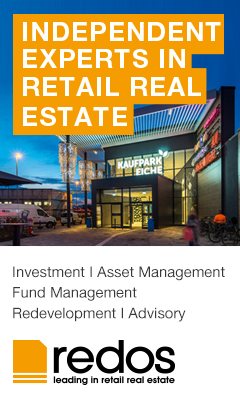 Last year also saw us secure Edeka as an anchor tenant in the food segment of “Märkisches Zentrum”. ACROSS: Nowadays, modern shopping centers have to be much more than just places of consumption. In your opinion, which trends determine the European retail landscape? How can stationary retail do justice to these trends? BEDDIG: The most successful malls are those that are transformed into multifunctional service centers that serve their local communities and surrounding districts with a mix of retail space, office accommodation, health centers, residential, and leisure space. 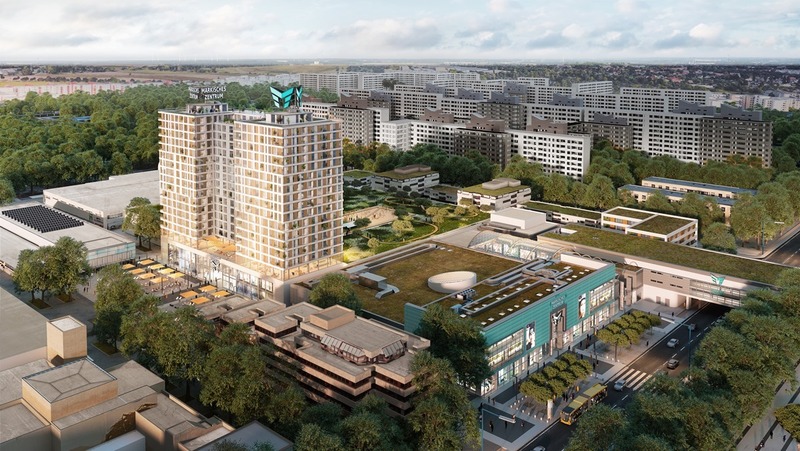 Such transformations require proactive management and an in-depth understanding of the market’s dynamics and are often only realistic as part of a major refurbishment of a redevelopment program. ACROSS: Center management is an important part of your service portfolio. In your opinion, what are the most important parameters for a successfully managed center? BEDDIG: The usual parameters are occupancy rate, pedestrian frequency, and successful implementation of the strategically planned mix of uses. However, in today’s business environment, I would also add the competence of our employees with regard to handling digitization and new media. ACROSS: The retail real estate industry is becoming increasingly complex and demanding. Strategic asset management today requires constant innovation. Ongoing digitization also requires a real paradigm shift in asset management. What opportunities does digitization offer for the real estate industry and how is Kintyre trying to leverage this potential for itself and its clients? BEDDIG: The assertion that the ongoing digitization of asset management requires a paradigm shift is correct, and, at Kintyre, we believe that real estate will experience a complete transformation of asset management over the next few years. As a result, we have committed the business to becoming a thought leader and influencer within the digital transformation of investment and asset management. This commitment was illustrated by the launch of our PropTech platform, ‘Kintyre DS’, at the end of last year. At the same time, we announced a strategic partnership with Realxdata. The new venture is dedicated to progressing digital innovation within real estate and asset management, and we are confident that it will result in far-reaching initiatives that will benefit our clients and the market as a whole. ACROSS: You have extensive know-how in all real estate segments, including logistics and offices. Will Kintyre strengthen or expand its business? BEDDIG: As previously mentioned, Kintyre has ambitious plans to grow, and we will be expanding our business. This expansion means we will be broader in scope and will include our operations in asset classes other than just retail and we are considering options in the office, logistics, and light industrial markets. A privately-owned, independent real estate investment and management firm, Kintyre provides a German management platform for institutional and private investors seeking a co-investment partner or dedicated asset/property management services. At the end of 2018, Kintyre managed €1.5 billion of real estate in Germany, with co-investments in assets worth around €250 million. The group has offices in Frankfurt, Berlin, and London, from which it liaises closely with clients wishing to access the German market.